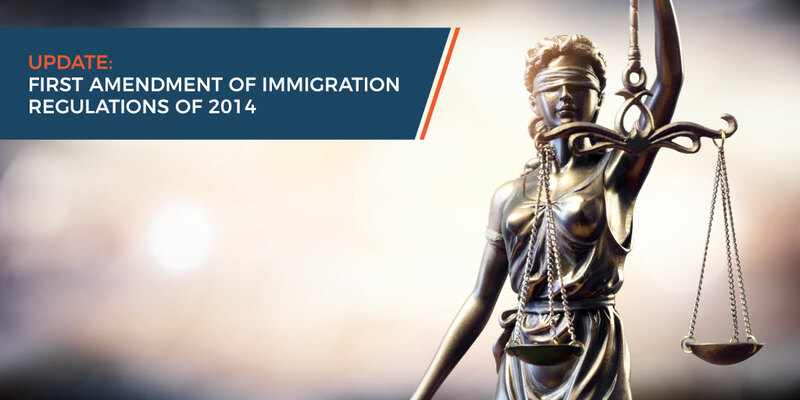 As promised, the much-anticipated release of the first amendment of the Immigration Regulations came into effect on 01 December 2018, just in time for the festive season and as the Department of Home Affairs (DHA) nonchalantly warned us. Most of the changes are mere formalisations of the announcement of recent weeks by the DHA. A birth certificate is no longer required to be produced by foreign minors travelling. However, it is worth noting that the immigration officer may still request same. Should both parents be present when traveling with a foreign minor, no documentation is required. Should it be a single parent, it will be best to keep the necessary documentation on hand. Compulsory interviews with both parties within a permanent relationship have been changed to optional – thus, parties in a permanent relationship ‘may’ be interviewed. A Department of Labour letter is being specifically issued to the prospective South African employer confirming the Department of Labour Certificate has been issued to the Department of Home Affairs. This will accordingly notify the prospective employer of the recommendation by Labour therefore ensuring applications are not unknowingly filed for General Work Visas and Corporate Visas where Labour recommendations have not been granted. The certificates or, per new regulations also knows as “a factual finding report” issued by a chartered accountant or professional accountant accordingly registered have been expanded to also include “business accountant registered with the South African Institute for Business Accountants”. Contemplated in section 11(1)(b)(iv) the above is subject to ‘a religious leader of a recognised religious organisation or denomination’. Currently, no major changes have come into effect as yet, such as the revision of requirements to attract Critical Skills to South Africa. These “more substantial” amendments are expected by April 2019 following the elections.